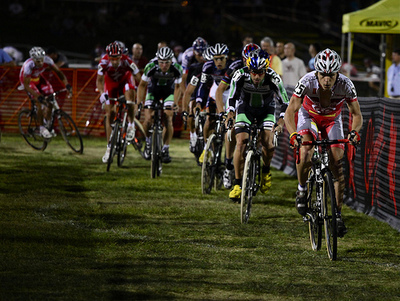 Cross Vegas, the annual cyclocross event that coincides with Interbike, had its third outing last night on a sprawling spectator-friendly course that served up blistering speeds and some surprising performances to a huge crowd. In the Elite Women’s race, Katie Compton took off the front after a lap or two, adding sizable time gaps on every lap all the way to the end. 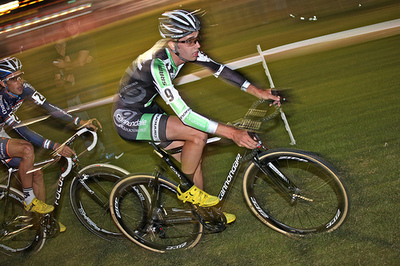 In the Men’s race, Chris Jones launched an early attack that Jamie Driscoll bridged up to and they spent the rest of the race 20 seconds off the front, with Driscoll eventually winning. 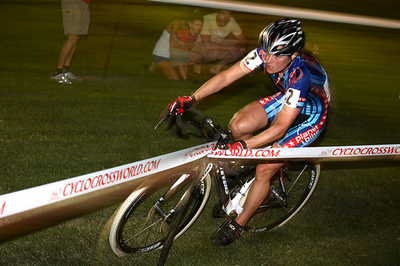 Jonathan Page won a field sprint in the following group for 3rd.